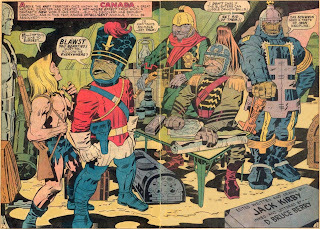 Most people who read comics know that in 1970 Jack Kirby left Marvel for DC and started an amazing explosion of creativity with his Fourth World saga. This introduced an avalanche of characters including the New Gods, Mister Miracle, The Forever People and the villain Darkseid. He also expanded his footprint in the DC world by creating the post-apocalyptic Kamandi and the bizarre world of Omac. 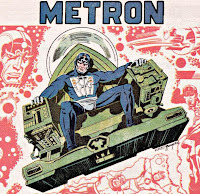 As a young reader in the 70's, I saw these worlds as new creations, bursting into life through Kirby's left parietal lobe and his skilled hands. 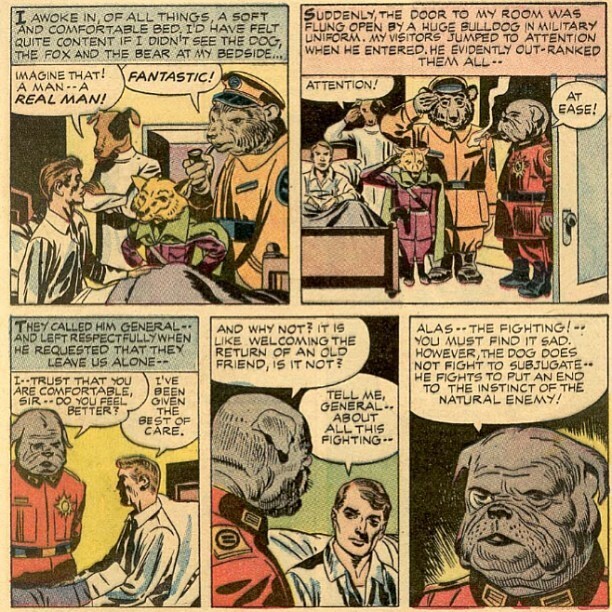 But I recently ran across a copy of "Alarming Worlds #1" from 1957 that made me realize Kirby had been working and re-working the ideas found in the Fourth World for quite a while. Evidently he was just waiting for the best time to bring them to the foreground, and this shift to DC provided just the chance. For example, in "Superman's Pal Jimmy Olsen" #133 Kirby introduced the Project, designed to create superhumans from clones for the benefit of mankind. This was later called Project Cadmus. 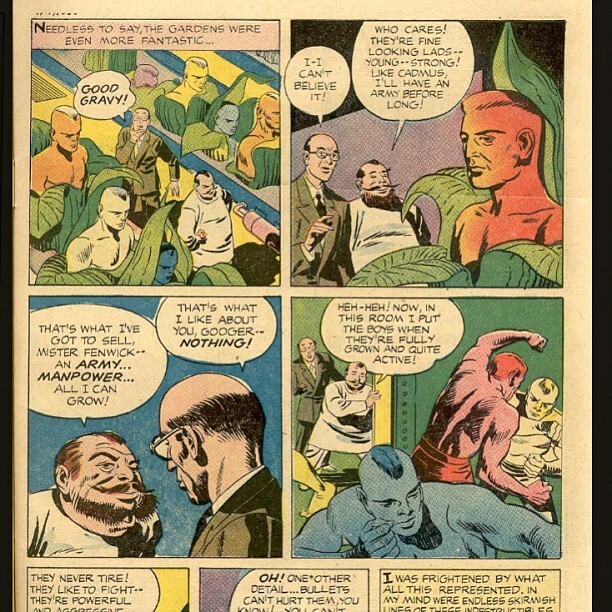 In "Alarming Tales" there's a story called "The Cadmus Seed." Professor Horace Googer grows humans from seeds in the project he calls "the Dragon Seeds of Cadmus." In another story called "The Fourth Dimension is a Many Splattered Thing!" 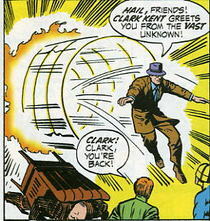 a man tries to apprehend a mysterious thief by traveling to the fourth dimension through an early version of a Boom Tube. In a little bit more of a stretch, a janitor discovers a wacky version of Metron's chair in the story "Donnegan's Daffy Chair". 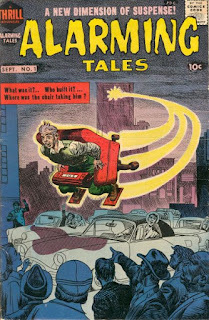 A janitor has an extra-terrestrial experience in "Donnegan's Daffy Chair"
"The Last Enemy" is a short story of a time traveler from our present who finds the distant future populated by intelligent animals is the best example of Kirby reusing and reworking his ideas. 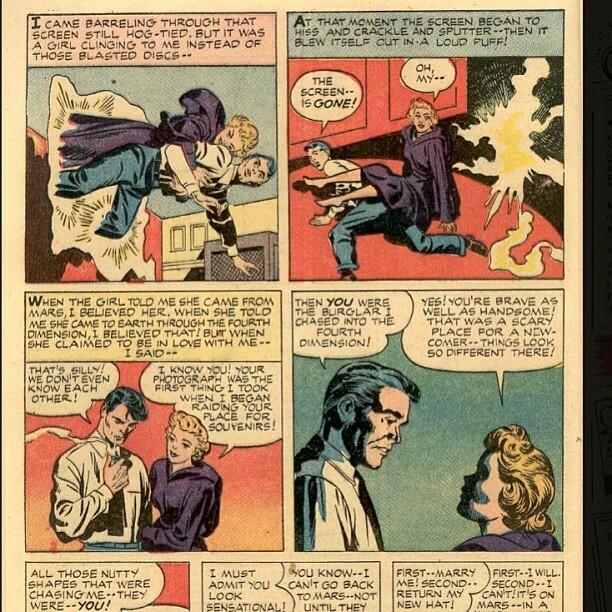 Considering the impact and amount of creativity that Kirby gave to the DC universe, it's surprising to realize he only spent about five years at DC. 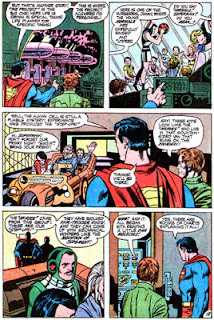 Yet, the heroes and villains that he created continue to play major roles in the publisher's comics. Darkseid, for example, played a pivotal role two of DC's recent comic events, Final Crisis and The New 52. 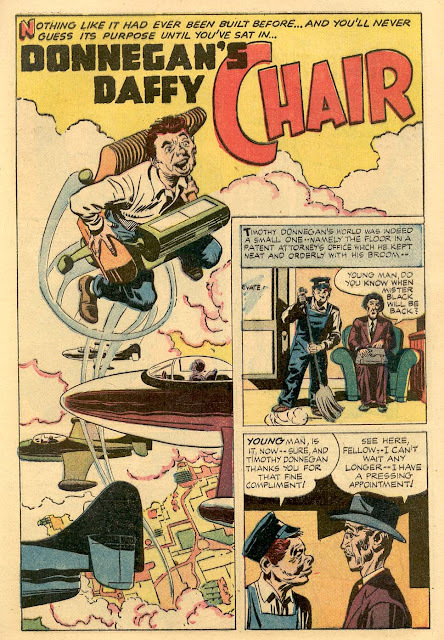 On the other hand, after DC Kirby would continue to re-work his earlier ideas, but with considerably less success. He seems to focus on gods and massive events, omitting the small human-scale stories that made his work from the 50's and 60's endearing (yes, even his monster stories were endearing). In the end, it's interesting to see how an artist can take the germ of an idea and play with it, evolving the story. Which is perhaps what I like to see about many of the recreations of the golden age heroes from Marvel and DC that were reinvented in the 60's and 70's. 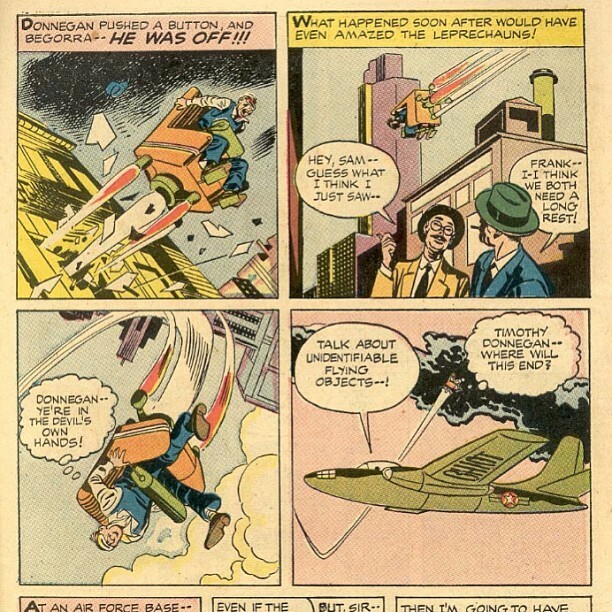 In some cases, such as with Captain America, the original artist (Kirby!) got the chance to evolve the hero in a second generation. 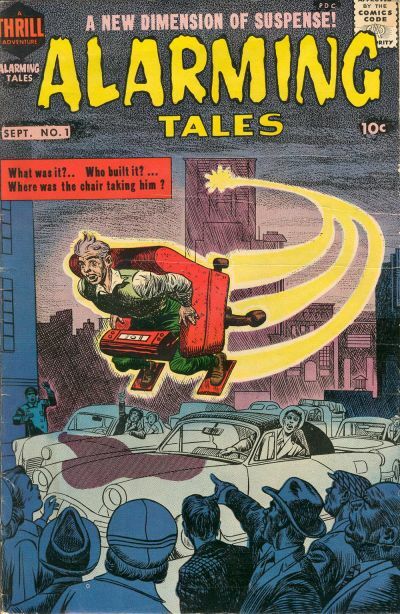 I'm just thankful to find a copy of Alarming Tales so I can see the originals.